A cotton rope hammock, between $36 and $180. Letting dad pretend he is lying down on a hammock by the beach for Father’s Day, priceless. 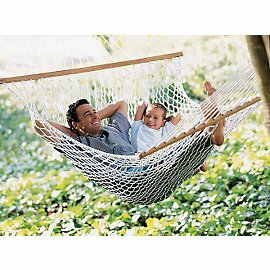 Find a variety of cotton rope hammocks here at our affiliate, Amazon.